VOTE: What’s your biggest motoring bugbear? What grinds your gears on the roads? From middle lane hogging to parking over two bays, Britain’s most annoying motoring bugbears have now been confirmed by industry experts. A study by motoring giant LeaseCar.uk has found the ten biggest peeves for UK drivers, mostly centred on others’ bad habits. 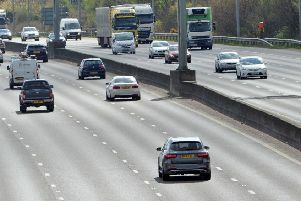 Despite years of awareness raising and the fact that it is illegal, middle lane hoggers remain a major sore spot for drivers who prefer their motorways not to be slow, congested and hazardous. Tailgating, not indicating and lane weaving are also among the irritants British drivers must unwillingly endure as the price for using the road. But it is not just poor driving that get motorists steamed up, as satnav failures and cutesy windscreen signs featured on the list as well.